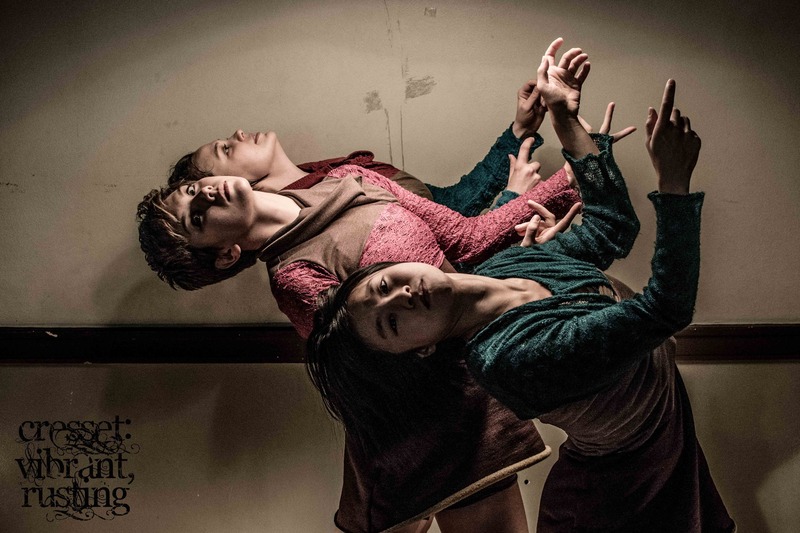 One of the CTX’s most active members, choreographer Julia Rae Antonick and Khecari Dance presents “cresset: vibrant, rusting”, a new contemporary dance work exploring meticulous movement embedded in a land of decay’s fruition. CTX members, Julia is offering 5 tickets to the December 6th show in exchange for time credits! Check out her offer here!!! Khecari invites you to enter into a world of magnetic viscera and dislodged niches holding performers whose movements grasp at vitality in the midst of cycles of lethargy and mania, departmentalization and yearning and ultimately an energetic outpouring in the face of inevitability. Antonick collides Balinese and contemporary dance to explore repetition and filigree, and uses the environmental confines to develop a unique new movement vocabulary derived from improvisations of composted life and the fortification of newness accompanied by an original score from Joe St. Charles using reel to reel and percussion. Lighting and construction design by Jonathan Meyer and performed by Maggie Koller, Danielle Hammer, Jordan Reinwald with Joan Chih Hsien Lin, Amanda Timm and Angelica Palomo. Costumes by Jessie and Julia Antonick.